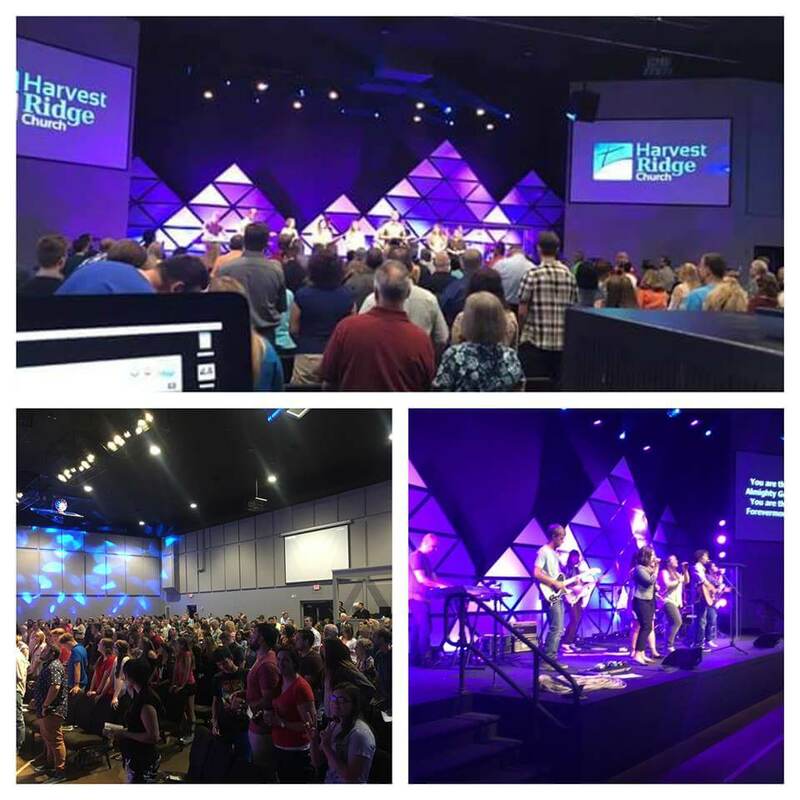 Harvest Ridge Church in North Ridgeville Ohio needed a complete AVL design for their new facility. The new facility functions as a full gymnasium as well as the main auditorium for Sunday morning worship services. 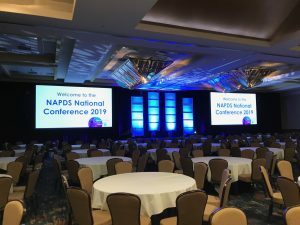 Mabe was brought in early on to consult on the design of the facility and how to best integrate AVL systems that would allow the space to be best utilized no matter the event type. 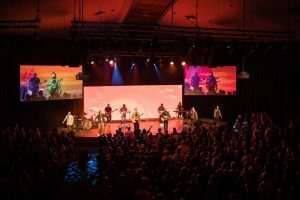 The AVL systems needed to be fully protected and not interfere with volleyball and basketball games without compromising on audio quality and flexibility for Sunday worship services. 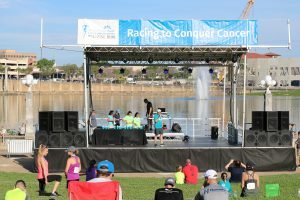 Worx audio was the preferred speaker in this environment. The wide horizontal coverage allowed for full coverage with only two X3i speakers. Two TL218SSi powered subs flown in cardioid completed the audio coverage. Mixing is accomplished via an Allen and Heath GLD console. The console is user friendly and all of the options from input expanders to personal mixers really give the client a user friendly package. Lighting cages were designed to house the Chauvet Ovation 165 fresnels and 260WW Ellipsoidals for front light. 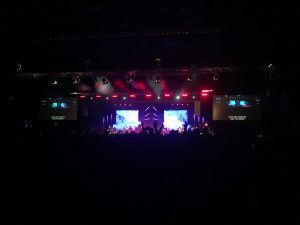 Over the stage Rogue R1 Beams and Colorado 3 Solos provided mood lighting for the worship services. Batten Quad 6’s and Par Quad 7’s were utilized to wash the stage elements. A Jands console at front of house rounded out the lighting system. Video needs were met with Blackmagic switchers located at front of house and in video control. The Television Studio HD and Pro Model really laid the foundation for a system that is scalable and cost effective. NEC projectors fed with SDI help to bring everything to life. 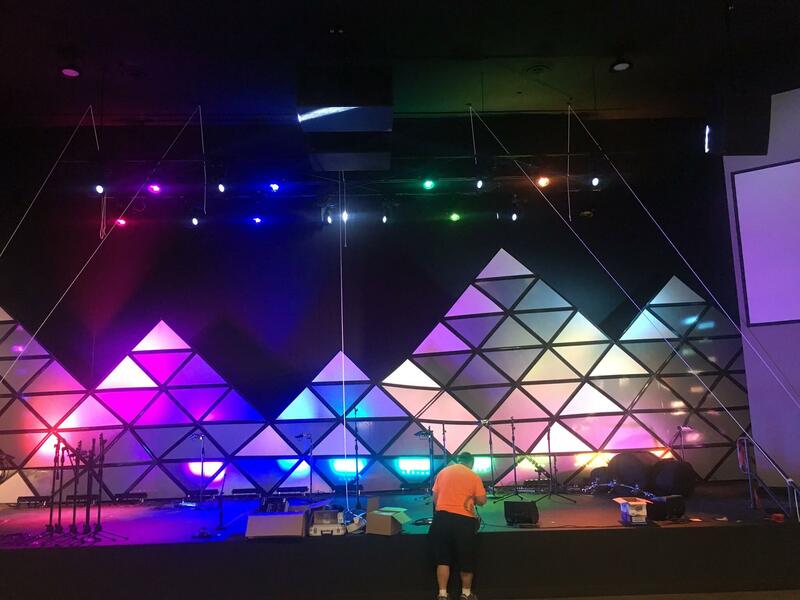 In the end Mabe provided a complete turn key installation that met the client’s current needs while putting an infrastructure in place that will grow along with the congregation. 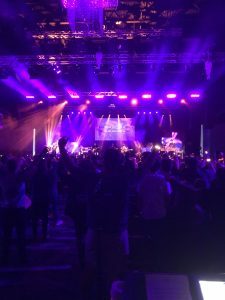 No matter the event type to be held in the facility the AVL systems can handle all of the church’s needs.